Check out these gems straight from the Sundance Film Festival. Don’t worry if you can’t make it to Park City; Park City is coming to you. This weekend (August 8-11) the Sundance Institute will debut its first NEXT WEEKEND event in Los Angeles. The four-day mini-festival happening at the Sundance Sunset Cinema in West Hollywood features panels, filmmaker workshops, and screenings culled from the big event that takes place every January in Utah. On the final day of this weekend’s NEXT WEEKEND festival (got that? ), screenings will expand to other Los Angeles venues including the Cinefamily, Aero Theatre, MOCA, UCLA, and the Hammer Museum. You’ll find the complete film schedule here, but if you don’t have time to pore over the whole thing, here are our picks. 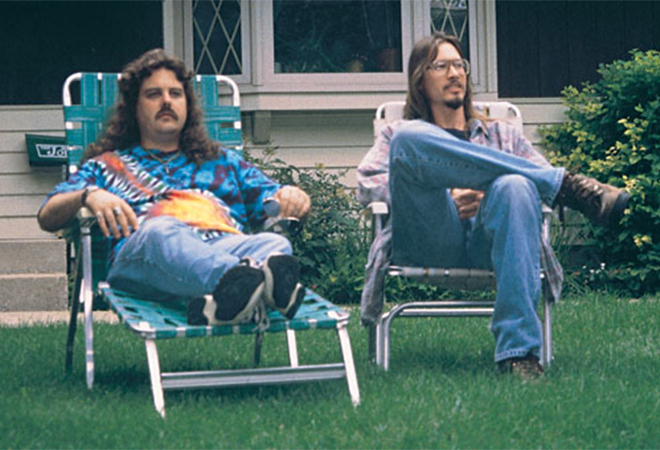 No film is more indie than Mark Borchardt’s Coven (not pronounced like “oven”). His short horror film about an alcoholic drug abuser who joins a self-help group that displays demonic tendencies made Borchardt something of a modern day Ed Wood. His efforts to get Coven made are chronicled by Chris Smith in the hilarious documentary American Movie, which won a Sundance Grand Jury Prize when it debuted at the festival in 1999. The double-feature screening of both flicks happens at the Hollywood Forever Cemetery. Director Alexandre Moors and co-screenwriter R. F. I. Porto present a chilling, speculative look at the two men responsible for the Beltway Sniper attacks in Washington D.C. This narrative feature follows a young Lee Boyd Malvo (Tequan Richmond) as he’s taken under the wing of John Allen Muhammad (a superb Isaiah Washington), who transforms him into a killer. Sharp writing, a strong supporting cast including Tim Blake Nelson, and a focus on the relationship between these two men rather than the violence of the killings makes the film a muted tour de force. This documentary that explores the relationship between Japanese artists Ushio and Noriko Shinohara earned Zachary Heinzerling a directing award at the 2013 Sundance Film Festival. Combining archival footage, animation, and insightful interviews, Cutie and the Boxer isn’t merely a portrait of two artists but a testament to the human spirit. Notice the extra “e” in the title. Humor and pathos govern writer-director Shaka King’s comedy about Lyle and Nina, a pair of young lovers whose lives are ruled by marijuana. More than a stoner-comedy, Newlyweeds explores the complexities of modern relationships. Look out for the laugh-out-loud weed-induced dream sequence that riffs on 2009’s Black Dynamite and classic blaxploitation flicks of the ’70s. Among the short films, What Do We Have In Our Pockets? is a visual compendium of cut-out art, animation, and ingenious editing. From award-winning L.A.-based director Goran Dukic (Wristcutters: A Love Story), the four-minute movie raises questions about love when the items in the main character’s pockets come to life.